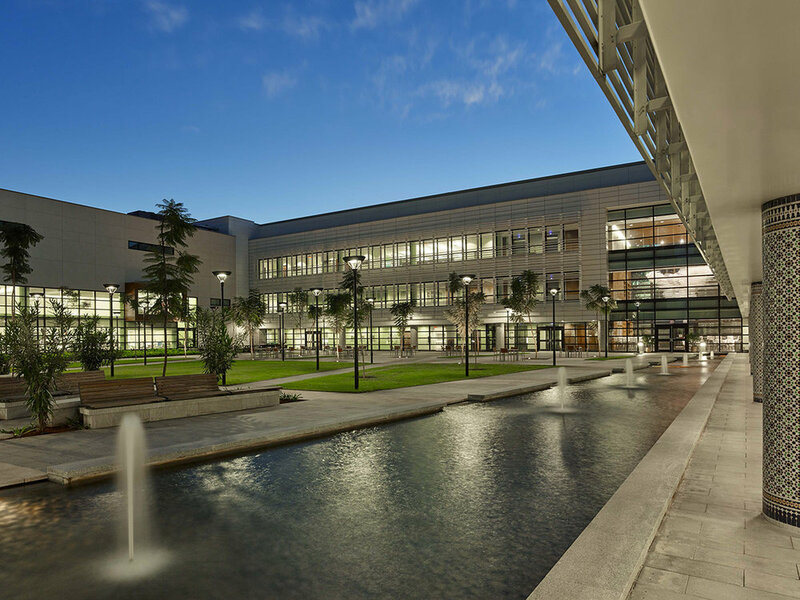 The new U.S. Embassy Compound design in Rabat, Morocco draws on the rich cultural heritage and local ecology of Morocco while addressing the unique challenges of several special site requirements. Working closely with the embassy architect, SmithGroup JJR, the team’s approach to these challenges was to convert them into opportunities for collaboration and innovation. 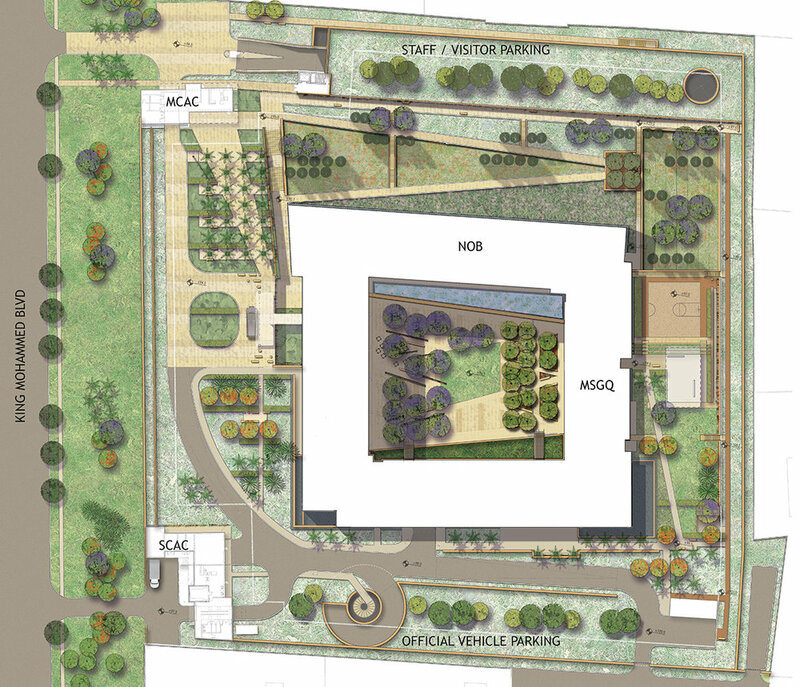 One design response was to devise a shaded entry and an open and inviting internal courtyard or “riad” filled with the sounds of water and the smells of a lush garden shared by all embassy employees. A wetland garden adds to the lush character of the courtyard while serving a functional purpose by recycling greywater and condensate from the building to be used for irrigating the entire compound. The local architectural tradition of the “riad” or courtyard garden filled with lush and water that contrast the arid exterior informed resulted in a design that provides sensory delight while simultaneously fulfilling all of the embassy’s requirements for events, maintenance and security.